Being a goat guy, I guess I was expecting so much more – more cream, more curd, more “yella”,….just more. Not that it wasn’t a lot of fun making the cheese mind you. Turns out San Jorge is a great “Saturday morning” cheese and, being Sao Jorge, it just has my portugese bredwin all up de gum tree! Ever since I told them I’d be making San Jorge – “Iwannapeezadatcheeeeze” is all I hear. In my books, they’re the only ones who know a damn thing about cheese on this island – still living close to their roots. 7:45 am – 5 gallons raw cow’s milk – heat to 90F, add 1/4 teasp. “farmers culture” let sit 30 -45 mins. 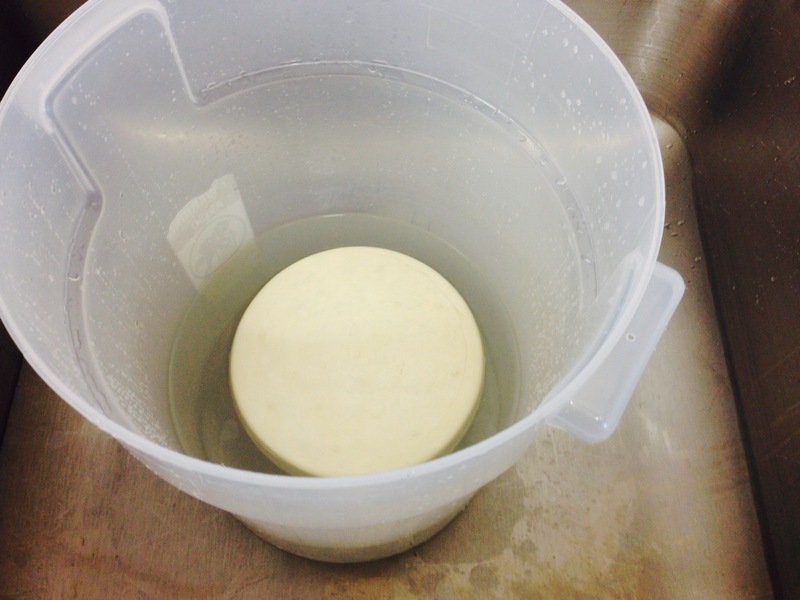 10:15 am – had raised temp of curd to 94F – still stirring and breaking up. 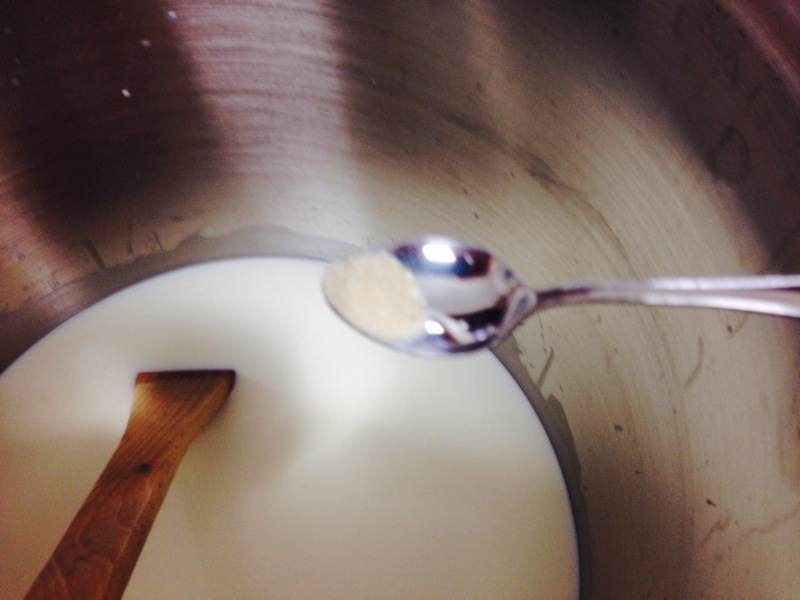 10:30 am – curd is at 98F turned off heat and continued to stir and break up. 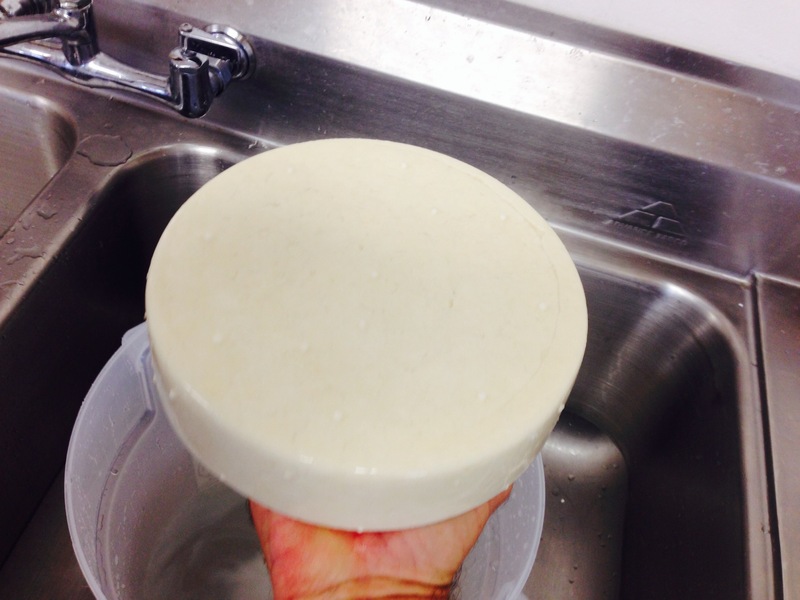 10:30 am – predrained curd in draining pan with cheesecloth for an hour – breaking up the curd mass every 15 mins. 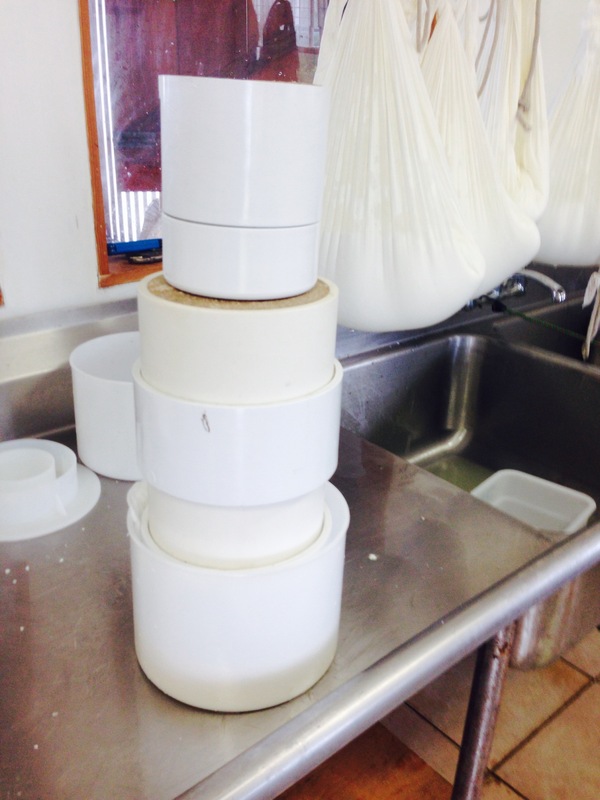 11:30 am – broke curd into small bits – hooped – filled one mold – one weight (15lbs.) – FORGOT TO SALT CURDS! – oops. 11:45 am – flipped – still one weight. 12 noon – flipped (removed cheesecloth and used follower) 2 weights. 1pm – flipped – 2 weights 2pm flipped – 3 weights (45lbs.?) 3pm flipped 4pm flipped 5 pm flipped and left weights on overnight. 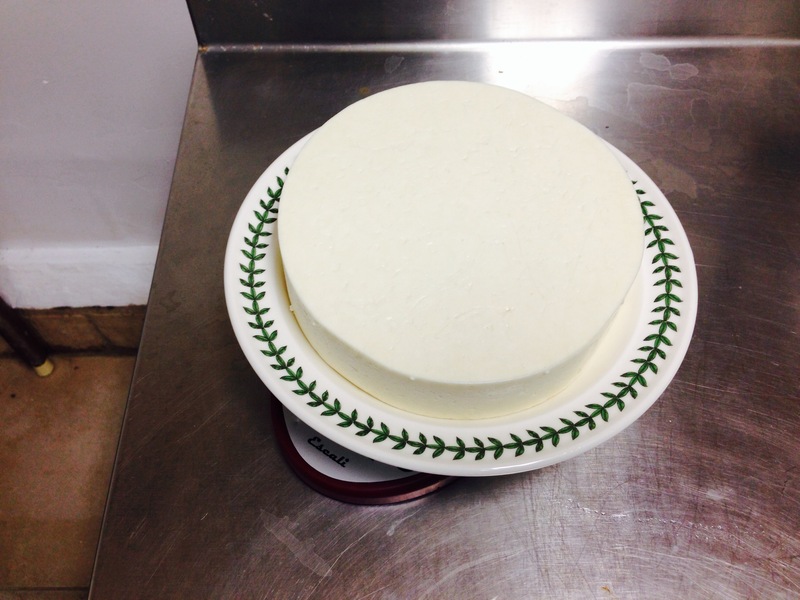 NEXT MORNING – unmolded – placed cheese in saturated brine for 5 hrs. – then placed in ripening fridge. CONCLUSION – like I said, this a really fun cheese to make, and a recipe that is full of promise! (um, I think I might of said this about every rennet cheese I’ve ever made.) There’s a great deal of satisfaction in using the concrete weights. I made these some years ago – in a wave of optimism – and they’ve been sitting around the barn gathering dust ever since – testaments to some pretty mediocre cheese makes. 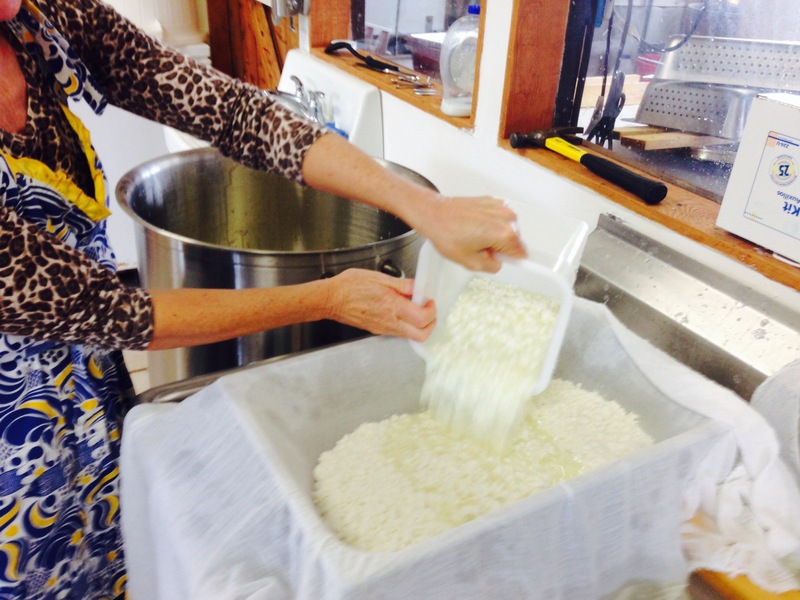 Their heavy weight produces a nice compact, flexible curd – and using them, well it’s all just so damn MACHO! Gotta love it! And the big surprise? This is the real kicker – It turns out I actually really LIKE Sao Jorge cheese! I mean we’ve all seen the mountains of vacuum packed chunks in the cheese bin at Lindo’s, but I always thought of it as a poorer cousin to all my favourite British cheddars available at the Supermart. (Goddam cheese snob? – “Guilty yer honour!”) – So anyway I bought a big wedge (it only comes in “big”) in preparation for this make and you know what? Mikey likes it! I dunno, it has a typical cheddary type body (perhaps a little more flexible – closer to Gouda) and a really nice strong flavour! (good cultures, mon). It’s a competitor! Thank you for posting this I have a friend that has been bugging me to try and make Sao Jorge. 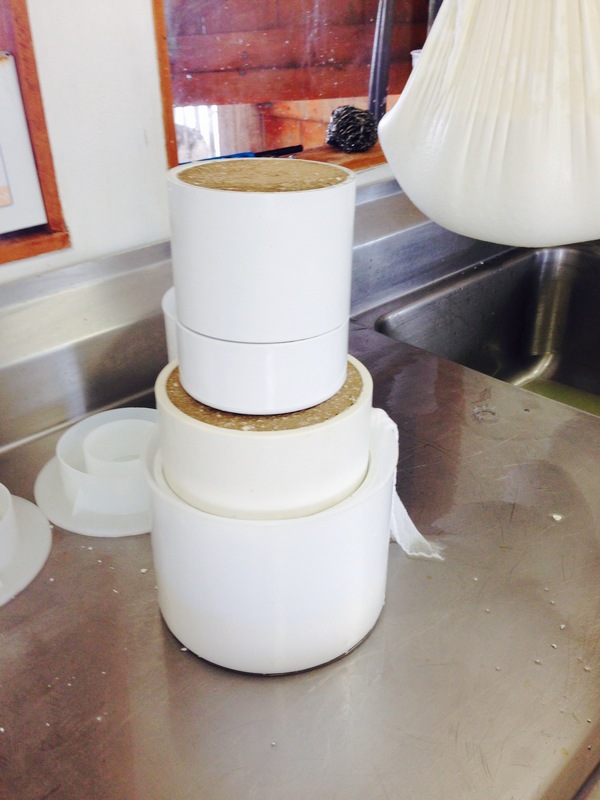 Hi Ian – New England Cheesemaking has it as their recipe of the month on their website – check it out because i did make some deviations from the recipe.